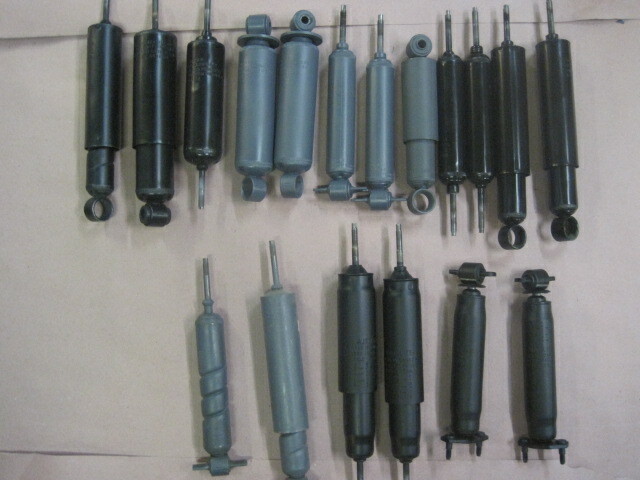 If you are needing numbered and dated shocks that will pass judging you come to the right place . I can provide correct numbered and dated shocks for your car .I have done many sets that have passed NCRS,Bloomington Gold and Concouse judging . I use same shocks that were on your car originally all NOS.Corvette,Chevrolet,Camaro Chevelle ,Nova,Pontiac ,Cadillac,Oldsmobile,Mustang, Shelby,Boss cars and all other GM cars . I do work for all the top restorers in the Country . I even rebuilt the shocks on the Rear engine XP-819 rear engine 1964 Corvette.I am usually back up so get your order in as soon as possible. I can also rebuild your shocks . If your car is a survivor I can retain most of the patina or I can make up a set of survivor shocks.